Through no fault of his own this little fella landed in a homeless situation. He was loved and pampered all his life by an elderly woman until she ended up in hospice care. Tuffy yearns to be cuddled and held close. He is good about letting you know when the need arises to go outdoors to do his business, and back in when he is done. Going on car rides are a favorite thing to do along with short walks, or long walks in a backpack, and joining in on shopping excursions. About 4 months ago Tuffy had major dental work and has been doing better than ever. He likes cats, dogs, children and sunshine. Being in a lap or sitting beside his person on a blanket works nicely. 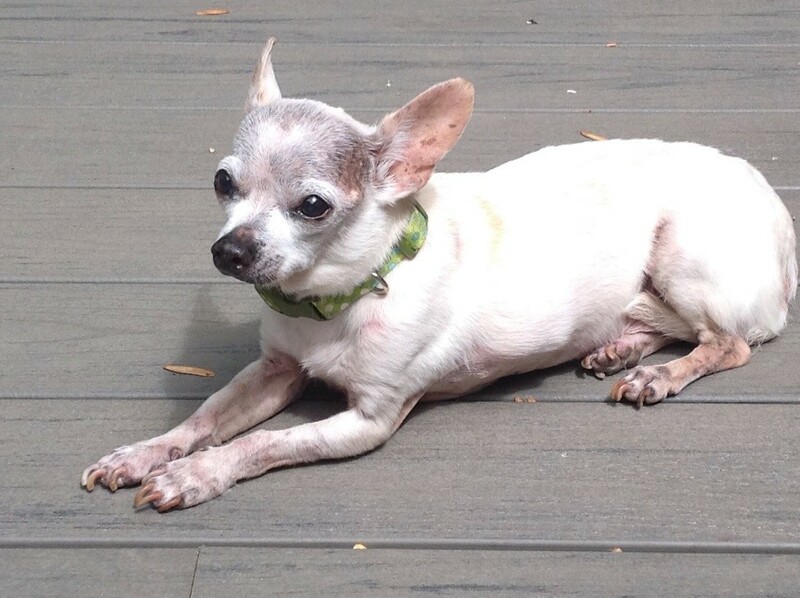 He is all caught up on his shots and has a pretty sound medical history for an old guy so if you have a place in your home and heart, please consider Tuffy.